Tetrathlon is a challenging competition requiring sound horsemanship and general athletic ability. Its goal is to encourage Pony Club members to broaden their interest in riding and multiple sports. The development of Tetrathlon within Pony Club has been sought by the U.S. Modern Pentathlon and Olympic Committees as a means of developing multi-talented athletes. They offer guidance and training programs for outstanding athletes who meet their requirements for skill and endurance. The riding phase provides an opportunity to demonstrate equestrian skills over a stadium or cross-country course. 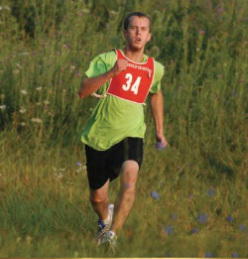 The running phase challenges each competitor’s physical stamina and endurance over cross country terrain and may include negotiating obstacles such as hay bales, logs and low event fences. The shooting phase tests a competitor’s skill, in a standing position, using an air pistol on a 10-meter course. The swimming phase allows competitors to demonstrate their swimming skills over a course length in meters or yards.